Food is the key to everyone’s heart. That’s why Liebherr has created a range of freestanding and built-in refrigeration products designed to maximise space and ensure long-term freshness. The family-owned Liebherr Group prides itself on innovation and quality, offering a wide range of high-end domestic and business appliances. The company claims to regularly invest in research and development in order to discover new trends and “keep one step ahead”. For households shopping for a new fridge, the brand’s domestic range includes a variety of built-in and freestanding products. Many of these items include fridges, freezer cabinets and fridge freezer units. But if you’re searching for a refrigerator for your business, Liebherr claims its professional range is designed to be reliable and capable of surviving ‘extreme conditions’. Whether you live alone or have a full house, Liebherr provides a variety of freestanding refrigerators to suit different types of households. Many of these provide roomy fruit and vegetable compartments, and include height-adjustable shelves apparently made from safety glass. These tend to cost between $2,299 and $4,741. For people who tend to have trouble using refrigerator doors, the Liebherr SKEF4260 Comfort provides a door handle with an integrated opening mechanism claimed to require ‘minimal effort’. Many Liebherr fridges are also fitted with reversible door hinges, which is said to offer greater convenience by making the appliance accessible from different directions. For freshness, the freestanding model includes programs like SuperCool which is stated to lower the temperature to 2°C, for up to 12 hours.This is said to be suitable for quickly cooling recently stored items. Audible and visual malfunction warning alarm. The Liebherr SKEF4260 Comfort has a 391L capacity and includes a total of seven shelves and compartments. If you fancy yourself a wine connoisseur, or if you just love to regularly entertain guests, the Liebherr OKES1750 might be an ideal storage solution for you. To help preserve bottles long-term, the model is said to contain an activated charcoal filter. And since the brand claims external odours can impact the quality of wine, especially if stored for longer periods, the appliance includes a replaceable FreshAir filter to help ensure the bottles are kept in what Liebherr describes as ‘perfect air quality’. The brand also claims humidity plays an important role in preventing corks from drying out. This is why the freestanding model is said to store wine in conditions with over 50% air humidity and in a horizontal position to help keep corks moist from the inside. The air humidity can be managed using the ventilation button on the appliance. The temperature of the Liebherr OKES1750 can be controlled via the electronic control system. It also includes an integrated heater, which can be especially useful to bring red wine to drinking temperature. Other features include low-vibration storage, ChildLock, reversible door hinges and a PowerCooling system. If you have big family, sometimes the energy bills can be chilling. But Liebherr claims its freezers are energy efficient and provide plenty of space, as well as several user-friendly functions. Similar to the brand’s range of freestanding refrigerators, Liebherr freezers use NoFrost technology to minimise the need to defrost items in the fridge. The transparent-front design and telescopic rails on the drawers are similarly said to make it easy to see and access contents. Chest freezers are also available to store extra items in cooler parts of the house. Featuring 261L usable capacity in a stainless steel design, the Liebherr SGNEF3036 is an ideal upright freestanding freezer for big families. If you’re finding it hard to chill food and drinks because the fridge is constantly being opened, the FrostSafe feature provides extra-high removable compartments designed to be closed all around to prevent the cold escaping. These drawers also have a clear transparent front to make the contents easily visible. To save electricity and keep power bills low, the Liebherr SGNEF3036 includes SuperFrost. This is said to lower the temperature to -32 °C as a way to create the cold air apparently needed to preserve vitamins. Once the food is completely frozen, which is said to take up to 65 hours, the SuperFrost function returns to normal mode. For space, the Liebherr SGNEF3036 offers glass shelves which can be removed to make room for more food or to accommodate larger items. Other freestanding freezers include the Liebherr SGNBS 3010 Premium NoFrost, Liebherr SGNBS3011, Liebherr SGNEF3036 and Liebherr SGNES3010. Built-in fridge-freezers are similarly available, such as the Liebherr ECBN5066, Liebherr ECBN6156 and Liebherr HCB2082. 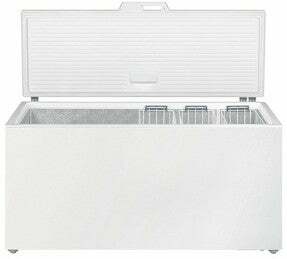 If you’re shopping for a chest freezer, Liebherr offers a range of products like the Liebherr GT6122 with a 572L capacity. This can be kept in the garage or in other cooler areas. Due to the FrostProtect feature, this chest freezer is claimed to suit places where the temperature ranges between 10°C and -15°C. The Liebherr GT2632 has space for up to 16 baskets, including room for 3 hanging baskets. 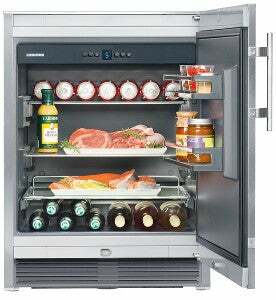 Other Liebherr household chest freezers include the Liebherr GT2132 Comfort, Liebherr GT2632 and Liebherr 3632 Comfort. If you’re craving a fridge with style and space, keep things cool with Liebherr’s side-by-side fridges. These are claimed to be known for their quality workmanship and design. This collection offers more space than many of the other Liebherr refrigerators, and is also said to contain functions like BIoFresh and NoFrost, which apparently help keep food fresh for longer. For a spacious side-by-side fridge packed with user-friendly functionalities, the Liebherr SBSES8473 offers a 688L capacity and provides both BioFrost and NoFrost features. Available in a stainless-steel design, this model is made with SmartSteel to minimise the appearance of finger-marks and make it easy to clean. 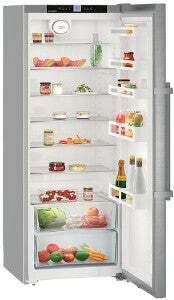 It similarly comes with SoftSystem, which is said to ensure the door closes softly no matter how full the fridge is. The ‘premium’ product also contains SoftTelescopic rails, which have a self-retracting system with soft closing functionality to help ensure the drawers are shut nicely. Liebherr’s SmartDevice feature can be used on the Liebherr SBSES8473. If you purchase the SmartDeviceBox as an additional accessory, you can control the fridge from your phone. If you’re searching for a way to mature wine but don’t have space for a wine cellar, Liebherr claims its range of wine cabinets can mimic similar storage conditions for people looking for a long-term storage solution. Generally, the temperature of each Liebherr wine cabinet can be set between 5 °C and 20°C. The range of Liebherr household wine cabinets tend to cost between $7,096 and $8,022. 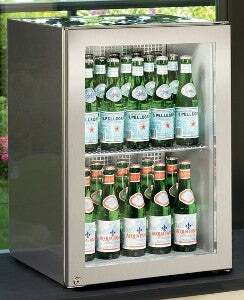 The Liebherr WTES5972 wine chiller is the cheapest item in the Vinidor collection. Whether you’re a fan of red or white wine, the multi-temperature fridge allows you to store a variety of wines at temperature suitable for each type of wine. Similar to other Liebherr models, it contains the PowerCooling System to apparently ensure that everything inside is evenly chilled. The system also switches the fan off when the door is opened for energy efficiency. 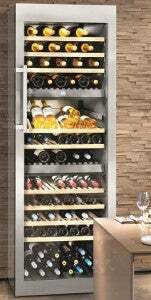 For people who like to show off, the Liebherr WTES5972 comes with presentation shelves which can display up to six wine bottles. The bottles can be placed upright on the flexible shelf and later stored flat either behind or on the side. If you need something which gives you more power over temperature control, the Liebherr WTES5872 Vinidor wine chiller comes with both 3 temperature zones and individual temperature zones. This is a more pricier option, valued at $8,022. Offering 511L, it has less capacity and is said to provide enough room for up to 178 0.75L Bordeaux bottles. Both models have similar measures and measure 192cm x 70cm x 74.2cm. Are you looking for an additional fridge to keep any extra food and drinks, or need to separate your lipstick liners from your leftovers? Liebherr has compact fridges like the Liebherr CoolMini CMES502, which can be mounted to the wall or placed as a freestanding appliance in the house. The CoolMini has a 42L capacity and measures in at 61.2cm x 42.5cm x 45cm. It contains three storage shelves, two of which are height adjustable. Should I buy a Liebherr refrigerator? When it comes to refrigeration, Liebherr has a variety of fridges and freezers suitable for the home as well as for professional use. Described as convenient and energy efficient, these items are apparently made with high-quality materials and generally tend to range in price between $1,392 and $15,228. If you’re family often competes for the last piece of cake in the fridge, or if there’s someone always opening both the refrigerator and freezer doors deciding what to eat, options like the Liebherr SGNEF3036 may be ideal fridges to consider due to features like FrostSafe and SuperFrost. Products like the Liebherr OKES1750 and Liebherr SBSBS7253 are similarly suitable for large families, as well as people who just love to invite friends for big feasts. 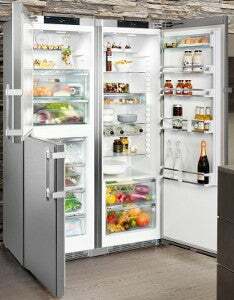 Alternatively, there are compact fridges like the Liebherr CMES502 if you want something a little smaller. These can be wall mounted in the kitchen or displayed as a freestanding appliance in the bathroom to store any health and beauty products. For a perfect glass of wine at home, Liebherr has a couple of multi-temperature wine cabinets from its Vinidor collection. These models generally contain two or three wine safes, which can be individually set between 5°C and 20°C. Many Liebherr wine storage compartments – whether in a wine chiller or fridge – also allow you to manage the temperature and humidity for precise control. We know shopping for the best fridge to suit your home isn’t easy. This is why we have a wide selection of products and brands on our website to help you compare what’s available and decide on the perfect fridge for you. 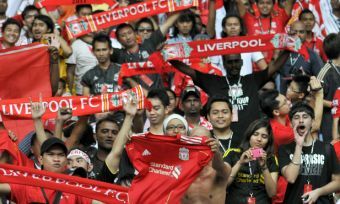 Continue your search with our customer ratings via the link below.